As I write this, the blockbuster movie of 2018 thus far is Black Panther, the Marvel Studios film adaptation of the comic book superhero of color first introduced in 1966 by, ironically, two white men, then writer-editor Stan Lee and writer- artist Jack Kirby. Created at the height of the 1960s civil rights movement, T’Challa, the king of the fictitious African nation of Wakanda and the Black Panther’s alter-ego, was the first superhero of African descent in mainstream American comic books, and Marvel named him “Black Panther” months before the Black Panther Party was established in October 1966. While the character has endured through the decades as a stalwart of the Marvel Comics universe, no one could have foreseen the movie’s financial and cultural impact. As of today, the movie has made over $1 billion worldwide, and its domestic box office receipts make it one of the most successful movies of all time in the superhero genre. With a black writer, director and predominantly black cast, including the protagonist and antagonist of the film, Black Panther has given notice to the entertainment industry of the power of black writers, producers, directors and actors to create art with wide mainstream appeal. More telling, however, has been the groundswell of pride the movie has engendered in the black community here in America, in Africa, and around the world. As an avid movie-watcher and superhero geek who has yet to see the movie – it’s a matter of time and budgeting more than anything else, but I definitely plan to see it! - I confess the cultural impact of Black Panther has impressed me greatly. The only thing comparable that I’ve seen is the reaction last year to one of 2017’s blockbuster films, DC Comics’ Wonder Woman, and it mirrors the response to Black Panther in character if not in scope, although Wonder Woman broke some new ground of its own at the box office as well. In fact, I don’t think it’s a coincidence that the #MeToo movement against sexual harassment and men who exploit their position or strength in a relationship to treat women poorly arose in the same year that Wonder Woman took the world by storm. Essentially, these works of entertainment represent a validation of the people groups they represent, portraying them in ways that elevate them in a world that has too often put them down. There are many people, some who haven’t seen Black Panther and some who have seen it and either liked it or not as a work of entertainment, and they are mystified, and sometimes taken aback, by the massive outpouring of love it is receiving in the black community. Even without seeing it, I am not at all surprised at how it’s being embraced by blacks worldwide. If you are a student of the full narrative of history, I think the reasons for this cultural phenomenon would be much easier to understand. It would be impossible for me to recount all the stories of how black people in Africa and around the world have been treated throughout history, but I am amazed and saddened at what I’ve learned through the years. Like many Americans who lived a safe, homogenized middle-class life and, for the most part, experienced the American Dream and believed it was available to everyone who worked hard and played by the rules, I was unaware of just how ferociously our nation reacted against black attempts throughout history to claim their unalienable rights as citizens of the republic and their equity and dignity as fellow image-bearers of God. Of course, I knew the general story about slavery, emancipation, Reconstruction, Jim Crow and institutionalized discrimination, and the victories of the 1960s civil rights movement, but it was a largely sanitized story, and the horrors lurking under the clinical accounts of history would break your heart – or, at least, they should. Before I continue, I feel compelled to say that I grew up in a military family and I am a veteran myself who would have laid down my life for my country had I been called on to do so. You won’t find anyone who loves America, and believes it to be a force for good in the world, more than me. My deep dive into our domestic history, however, disabused me of the notion that, as a people, we were somehow “better” than the German citizens who either participated or didn’t speak up as their nation spiraled toward Nazism and genocide. Do a Google search on “Red Summer of 1919” or “Tulsa race riot” or “Rosewood massacre.” Learn about thriving African-American communities that were decimated or literally wiped from existence because of white rage well out of proportion to perceived or actual offenses. Read the Equal Justice Initiative’s report, Lynching in America: Confronting the Legacy of Racial Terror, and tremble with disgust over the gruesome details of the 4,084 racial terror lynchings that took place in the South, and the more than 300 that took place in other regions of the country, between 1877 and 1950. Some of the maddeningly frivolous reasons for these racial terror lynchings will bring you to tears. Imagine being lynched because you accidentally bumped into a white man as you hurried to catch a train, or you made eye contact with a white woman as you walked downtown. I shudder when I think of what would have happened to me as a veteran had I been spotted in town in my uniform, or if I dared to be publicly affectionate toward my wife, a white woman. I would have been seized by an angry mob of white men, immobilized, tortured until death, dismembered and even had various body parts sold as souvenirs, and photos of what remained of my corpse taken for postcards, while women and children watched the whole spectacle, sometimes over a picnic lunch. The next day, these same people would be singing and praying in church, listening to the pastor preach from the Bible that says, “There is neither Jew nor Gentile, neither slave nor free, nor is there male and female, for you are all one in Christ Jesus” (Galatians 3:28). Racial terror lynching was a tool used to enforce Jim Crow laws and racial segregation—a tactic for maintaining racial control by victimizing the entire African American community, not merely punishment of an alleged perpetrator for a crime. Our research confirms that many victims of terror lynchings were murdered without being accused of any crime; they were killed for minor social transgressions or for demanding basic rights and fair treatment. Our conversations with survivors of lynchings show that terror lynching played a key role in the forced migration of millions of black Americans out of the South. Thousands of people fled to the North and West out of fear of being lynched. Parents and spouses sent away loved ones who suddenly found themselves at risk of being lynched for a minor social transgression; they characterized these frantic, desperate escapes as surviving near-lynchings. Outside of America, colonialism and its after-effects tormented black people in other parts of the world, even in the Western Hemisphere. My wife, who teaches French here at Liberty University, to include French civilization, told me the story of how France demanded an indemnity from Haiti after the slave revolt and revolution that led to its independence. France viewed this indemnity as compensation for the loss of slaves, other "property," and the colony of Haiti itself. The total value of this indemnity, when the original amount and interest payments are factored into the equation, is estimated at $21 billion in today’s dollars, and it took Haiti 122 years to pay it off. Even if one sets aside the absurdity that they owed France for the right to be treated as human beings and not property, that kind of payout crippled their economy, and other factors, such as the embargo of Haiti by other slave-holding nations, including the United States, the corruption and domestic terror of the Duvalier regime, and numerous devastating natural disasters, to include the 2010 earthquake, dug them even deeper into a hole from which they may never emerge. If Haiti and nations in Africa are undesirable nations from which to receive immigrants, we should, in all candor, examine the role powerful nations seeking riches and dominion had on the welfare of these nations and their people. If you’ve gotten this far, I’m sure you’re wondering, “What does any of this have to do with Black Panther or Wonder Woman?” Before I establish the relationship between these various threads, let me say empathically that my recounting of the horrors of our past is not intended to elicit guilt or shame but to fill in gaps in the historical narrative. Even at my advanced age, I am astonished at how little I know about these events and similar episodes in American and world history, and I suppose it has something to do with the truism that history is written by the victors. It’s not hidden but you must go looking for it and, if it isn’t a matter of personal interest or impact, it’s likely that you aren’t motivated to do so. While African Americans are in many ways better off in absolute terms than they were in 1968, they are still disadvantaged in important ways relative to whites. In several important respects, African Americans have actually lost ground relative to whites, and, in a few cases, even relative to African Americans in 1968. The conversation this article generated ranged from the hopeful to the exasperating, and heated words were exchanged while others, myself included, tried in vain to act as moderators. One clear theme did emerge; there are many who believe the horrific history I just described is no excuse for today’s dysfunction in the black community and the solutions are time-tested and effective if only they would implement them and cease their grip on grievances past. I understand that argument because it is one I embraced for a long time. But through the power of the Holy Spirit and the experiences God has guided me through over the past eight years, I’ve humbled myself and become more other-centered, and it has changed my heart. Unless you fix the trauma that has caused people to be the way they are — literally change the way brains operate if you are in a chaotic environment as a child — unless you fix the trauma, you’re working on the wrong thing. If someone as invested in philanthropy as Oprah Winfrey is just coming to the realization that childhood trauma causes permanent damage to the psyche if not treated, “symptoms of post-traumatic stress that often are similar to that seen in military veterans,” as one news report put it, then it’s not hard to believe that the general public is ignorant of and therefore insensitive to these effects. Note that the report also addresses similar trauma to children in the rural underclass, declaring them to have “the same dysfunctional demographic profile.” As I’ve recounted in the past, I was a latecomer to the plight of the white underclass in America. My education began with a sobering study in 2015 of the mortality rates among white middle-aged men with a high-school education or less, and was reinforced by the numerous books and articles which followed, Hillbilly Elegy chief among them, and the burgeoning opioid crisis which has adversely affected the rural and poor white community. That last point is critical to the impasse at which we find ourselves today on the topic of race. The black community is crying out to be heard on the effects of past trauma, the failure of ostensibly neutral policies in a dysfunctional community, and the residual structures and systems that have a disparate impact on the black community. Trauma requires acknowledgement and empathy, and the refusal of many Americans to even concede the possibility of multi-generational trauma due to racism is frustrating and breeds more cynicism and anger in the black community than what previously existed. This is particularly damaging when the black community attempts to appeal to white Christians and their sense of righteousness and justice. If white Christians won’t even listen to those who say they’re hurting, or respond to their stories with indifference or disdain, it’s no wonder that the younger black generation views the church, once a leader in the civil rights movement, with disgust. The black church has lost its influence with the younger generation in part because they can’t bring their white Christian brothers and sisters to the table to help them heal their communities. And that, dear reader, is the money shot. We all know what the formula is for defeating poverty – stay in school, get your degree, get a job, get married and have children, in that order. We also know that 8 percent of children born into two-parent homes suffer from poverty compared to 43 percent of children born into single-parent homes. That used to be my standard stump speech – “do the right thing and you, too, can overcome.” What I didn’t realize then, however, and what I know now, is that far too many of us, because of wrongs done to us dating back generations, have a “hole in the soul” that has never been repaired. Some of us, like me, escaped the damage because of decisions over which I had no influence whatsoever. I had nothing to do with my father joining the U.S. Air Force and making a career of it, ensuring himself a stable income in a safe environment where success is, mostly, determined by merit. I had nothing to do with him meeting and marrying my mother and staying with her for nearly 59 years. I had nothing to do with the safe schools and neighborhoods in which I grew up, the travel which allowed me to experience the world in all its diversity and beauty, or the relocation which allowed me to get an affordable college education and secure steady, reliable work before marrying and having a family. Some would say I “earned” my relative success because I worked hard and played by the rules, but that’s because these behaviors were modeled for me and I lived in an environment where I saw that they worked. Far too many young black men and women have had neither the role models nor the living conditions to cultivate success. So when a movie like Black Panther or Wonder Woman hits the big screen and blows the doors off the competition financially, and elicits an emotional tsunami in the communities which are affirmed by the strong and positive portrayals of themselves in these films, it’s because someone is acknowledging them as beloved beings of inestimable value. These movies begin the process of filling that “hole in the soul” that no one else seems motivated to acknowledge or fill. If you don’t heal the heart, then we’re just pouring money, training and education into a bottomless pit. What is imperative to me, however, is that hurting people shouldn’t look to fictional characters in a movie to find their worth, but rather to the Lord Jesus Christ, whose sacrifice on the cross was the greatest possible statement of how valuable we are to God. If we as Christians, the hands and feet of Jesus, are not holding the marginalized people of the world in the same high esteem as our Father holds them, and us, then we are in rebellion against God Himself. If anyone says, "I love God," and hates his brother, he is a liar; for he who does not love his brother whom he has seen cannot love God whom he has not seen (1 John 4:20). The thing is, being other-centered, to “do nothing out of selfish ambition or vain conceit” but “rather, in humility value others above yourselves, not looking to your own interests but each of you to the interests of the others” (Philippians 2:3-4), means we don’t get to decide if we have shown the hurting the proper esteem. It’s their call – and for the sake of our witness as Christ-followers, we must have the grace to let them tell their story uninterrupted, and the humility to let that story change us. 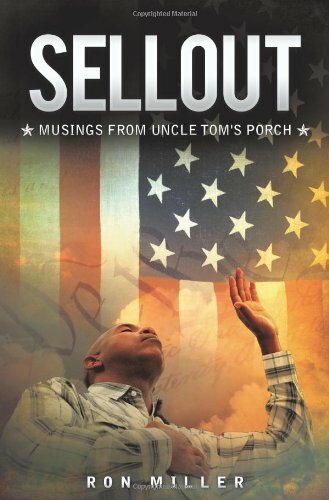 Ron Miller of Lynchburg, Virginia is an associate dean and assistant professor of government at Liberty University, a commentator and author of the book, SELLOUT: Musings from Uncle Tom's Porch. The nine-year plus veteran of the U.S. Air Force and married father of three writes columns for several online sites and print publications. Join him on Facebook, Google+ and Twitter. Title and affiliation are provided for identification purposes only. The views expressed in this article are those of the author and do not necessarily represent the views of, and should not be attributed to, Liberty University.